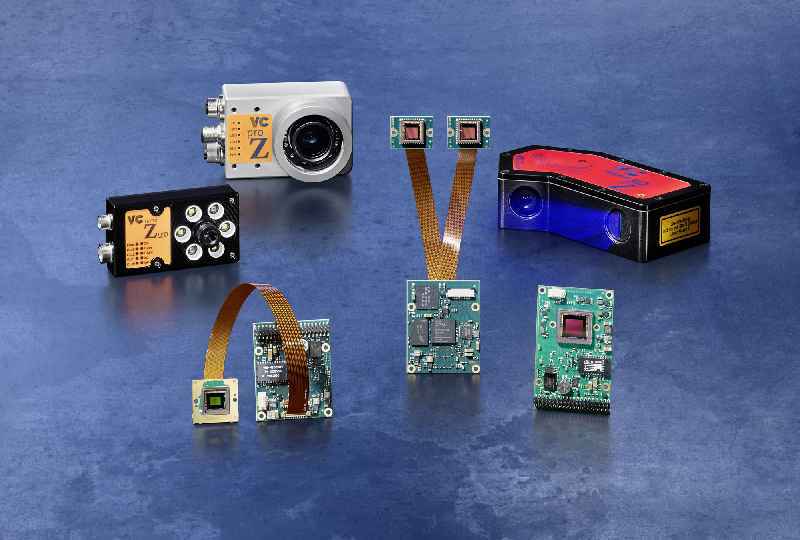 Vision Components presents its portfolio of OEM cameras at the Embedded Vision Summit in Santa Clara, California. The brand-new line of ultracompact MIPI camera boards is designed for applications with many cameras such as autonomous driving, UAVs, Smart City, medical technology, and laboratory automation. Liftket has added new 5-ton electric chain hoists to its Speed Line. In addition, this series now features temperature monitoring of the lifting motor by default. The manufacturer configures all electric chain hoists to order. The Speed Line models are shipped within 15 working days or less. 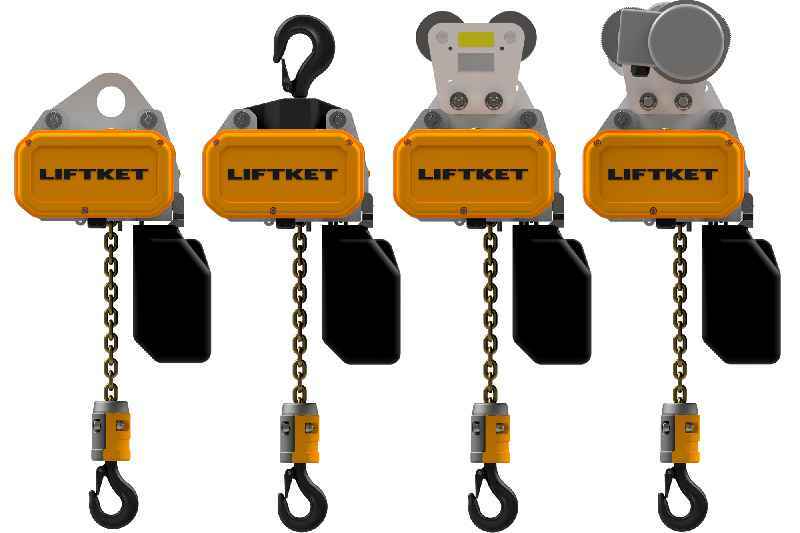 Liftket has added new 5-ton electric chain hoists to its Speed Line. In addition, this series now features temperature monitoring of the lifting motor by default. The manufacturer configures all electric chain hoists to order. The Speed Line models are shipped within 15 working days or less. Customers can specify the suspension type (eye or hook), girder width, as well as a push trolley or electric trolley. The Speed Line allows for lifting heights up to 20 m. It therefore covers most industrial applications. If required, Liftket furthermore builds special chain hoists. The Speed Line now comprises 11 models for loads from 125 kg to 5000 kg. Depending on the load, these hoists offer different nominal speeds up to a maximum of 10 m/min. They each have two lifting speeds. Optimized for fast custom configuration, the series is also fully tested, safe, very robust, and durable. The mechanics have proven reliable in the established Star Liftket series in hundreds of thousands of installations. The chain hoist configurator on the company website gives users an express route to their tailor-made electric chain hoist. Introducing the METRALINE series, Gossen Metrawatt provides a new family of professional measuring and testing equipment that offers high functionality and reliability at an optimized price–performance ratio. 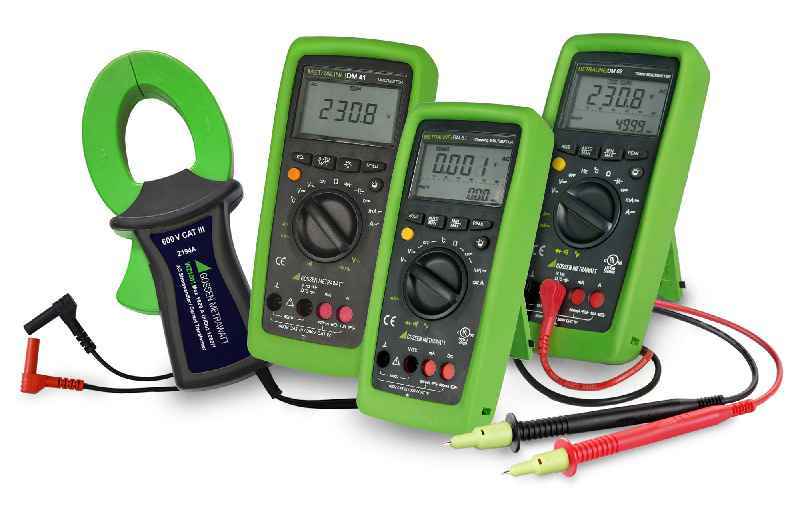 The new product line includes three digital multimeters with different feature sets. Introducing the METRALINE series, Gossen Metrawatt provides a new family of professional measuring and testing equipment that offers high functionality and reliability at an optimized price–performance ratio. The new product line includes three digital multimeters with different feature sets. All of these are equipped with automatic-blocking sockets, which prevent the incorrect connection of measuring lines and thus provide complete protection for the user. The DM 62 is designed as a TRMS multimeter with true value measurement up to 2 kHz for demanding measurement tasks in AC and DC networks. It covers a voltage range of 100 µV…1000 V and a current measurement range of 10 µA…10 A and furthermore provides all necessary functions for resistance, temperature, frequency, capacitance, and duty cycle measurement, as well as continuity and diode testing. Another model, the DM 61, is a universal multimeter with an adjustable clip for connecting a current clamp. Gossen Metrawatt’s WZ1001 current clamp, for instance, is optimally tailored to the DM 61. Both these multimeters are secure according to measuring categories CAT IV (300 V) or CAT III (600 V). 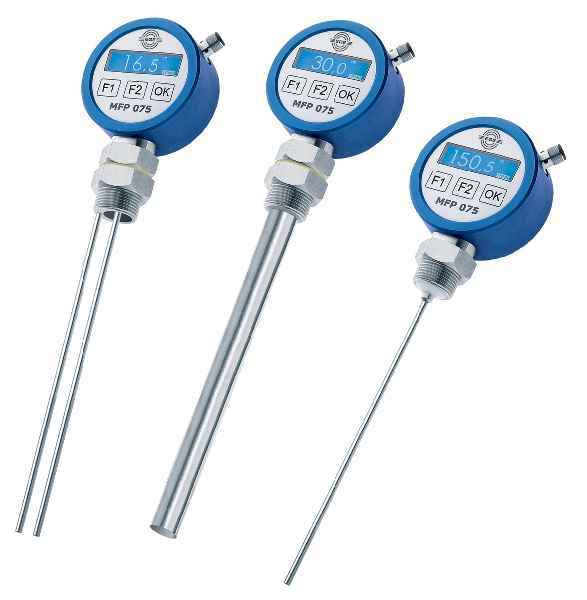 They feature automatic and manual measurement range selection as well as a backlit dual digital display with an analog scale. The third model, the DM 41, is a non-TRMS multimeter with a versatile range of functions for all standard measuring tasks. In addition, the METRALINE series comprises a DIN VDE 0701-0702 PAT device tester for testing portable equipment, which works with the new IZYTRONIQ testing software via an Android app, as well as a digital a low-resistance ohmmeter for testing protective conductors, ground conductors, and equipotential bonding conductors. Three handy, battery-powered instruments for examining protective measures, specified for checking insulation resistance, RCDs, and loop resistance, respectively, complete the product line. These lightweight testers can be comfortably carried in a belt pouch and are ideal for electricians who have to assure the functional safety of systems. Fluke Process Instruments presents its range of thermal profilers and infrared temperature measurement solutions at the THERMPROCESS trade fair. 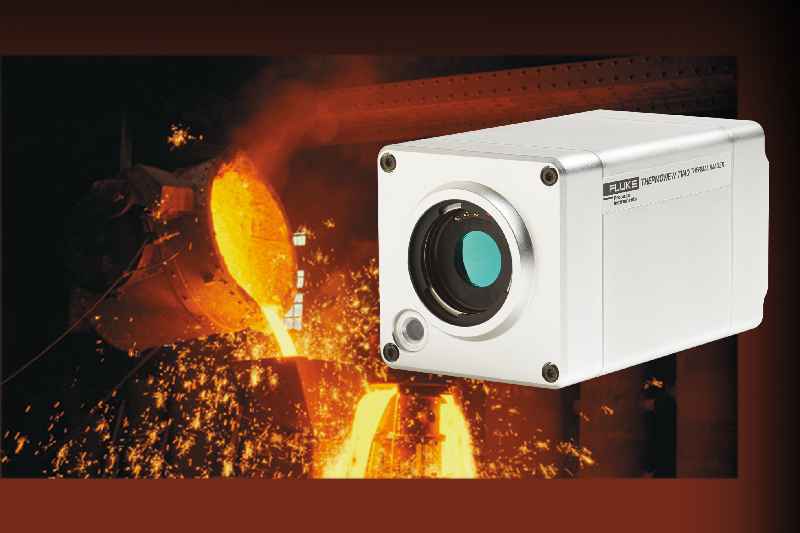 The latest addition to the IR pyrometer portfolio, Thermalert 4.0, enables automatic noncontact temperature monitoring in a -40…2250 °C range. EGE offers to configure level controllers with guided microwave according to customer specifications. Based on its proven standard level gauge, the German manufacturer is able to adapt the sensors to suit various tank geometries, mounting conditions, or demanding media in no time. EGE offers to configure level controllers with guided microwave according to customer specifications. Based on its proven standard level gauge, the German manufacturer is able to adapt the sensors to suit various tank geometries, mounting conditions, or demanding media in no time. Options include angled probes that can be mounted on the side of tanks. EGE employs special materials such as Hastelloy or titanium to manufacture probes for use in aggressive media. EGE also specifically adapts the sensors to dielectric constants and to the temperature ranges of the liquid to be measured to ensure precise results in challenging media and cramped installation conditions. EGE has extended its DGC line of hydrostatic level meters, adding a new sensor for measuring liquid media levels up to 20 m. The sensor consists of a measuring head with integrated electronics and an IP68 probe attached to a cable. The cable is up to 20 m long to ensure the probe can be lowered to the bottom of large tanks. EGE has extended its DGC line of hydrostatic level meters, adding a new sensor for measuring liquid media levels up to 20 m. The sensor consists of a measuring head with integrated electronics and an IP68 probe attached to a cable. The cable is up to 20 m long to ensure the probe can be lowered to the bottom of large tanks. The electronics unit is enclosed in a rugged stainless-steel housing with a G? thread for attachment, for instance on the tank cover. A line of LEDs integrated in the measuring head indicates the level at a glance. The sensor requires a 24 V DC supply. It can be used in ambient or media temperatures from -20 °C to +75 °C. Measured values are transmitted via a 4…20 mA output. The intrinsically safe ATEX- and IECEx-certified proximity switches from EGE’s IGEXHa and IGEXPa series are suitable for use at extreme temperatures. 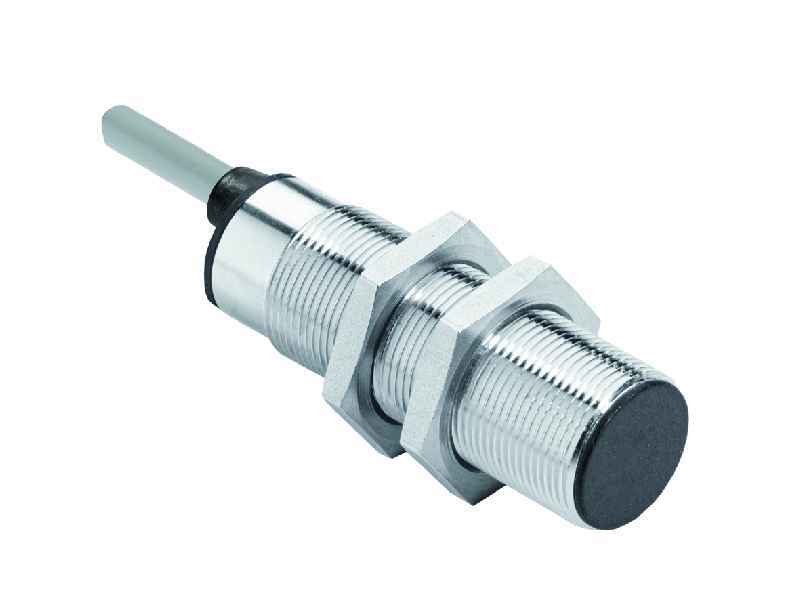 IGEXHa inductive sensors withstand ambient temperatures of up to +140 °C. IGEXPa „polar“ models are suitable for down to -60 °C. Both series are approved for operation in zones 0/20. The intrinsically safe ATEX- and IECEx-certified proximity switches from EGE’s IGEXHa and IGEXPa series are suitable for use at extreme temperatures. IGEXHa inductive sensors withstand ambient temperatures of up to +140 °C. IGEXPa „polar“ models are suitable for down to -60 °C. Both series are approved for operation in zones 0/20. They feature IP69 ingress protection and are available in M12, M18, and M30 designs. Given a flush installation, the nominal switching distances are 2 mm, 5 mm, and 10 mm, depending on the design. The proximity switches are connected via a 2 m FEP cable. EGE supplies the sensors with different cable lengths on request. 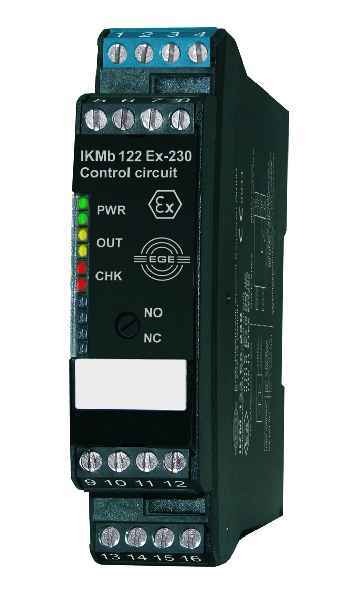 EGE also offers the IKMb 122 Ex series of suitable IECEx-certified signal processing units and intrinsically safe power supplies with programmable outputs. Internationally active machine builders benefit from the IECEx certification since it facilitates exporting products that integrate these proximity switches. Launching the IGEX20a inductive proximity switch, EGE presents a compact sensor with ignition protection type Ex m (encapsulation). Observing the relevant installation standards and conditions, it can be used directly in zones 0/20 without any further switching amplifier. IGEX20a is certified according to ATEX and IECEx. Launching the IGEX20a inductive proximity switch, EGE presents a compact sensor with ignition protection type Ex m (encapsulation). Observing the relevant installation standards and conditions, it can be used directly in zones 0/20 without any further switching amplifier. IGEX20a is certified according to ATEX and IECEx. IECEx certification simplifies worldwide use of the sensors in member countries of the IECEx regime. Certified for use in Ex zones 0 and 20, the proximity switches can be employed in hazardous areas with gas or dust atmospheres, for example in gas stations and in facilities with gas pipelines etc. The switching function is indicated by an LED on the back of the device. The sensors are available in M12, M18, and M30 designs. Flush installation provided, the nominal switching distances are 2 mm, 5 mm, and 10 mm, depending on the design. The proximity switches are connected via a 2 m PUR cable. EGE supplies the sensors with different cable lengths on request. EGE now offers ATEX- and IECEx-certified signal processing units for the growing range of ATEX- and IECEx-approved two-wire sensors. EGE now offers ATEX- and IECEx-certified signal processing units for the growing range of ATEX- and IECEx-approved two-wire sensors. IECEx certification greatly facilitates exporting the intrinsically safe sensors to many countries around the world – machine manufacturers and plant engineers will find it much easier to use such products in markets where they could not be used previously or required very tedious special certification. Type IKMb 122 Ex signal processing units connect to intrinsically safe EGE two-wire sensors for hazardous gas and dust atmospheres. They feature a space-saving, 22 mm wide DIN rail housing and are installed outside the hazardous area. Green, yellow, and red LEDs on the front side indicate the operating status and signal alarms if the integrated cable breakage detection or the short-circuit monitoring is triggered. The output can be set as normally closed or normally open.